We love our clients. Which is why we are THRILLED when they have such nice things to say about our services! I love the attention they get. I really like the pictures and daily reports. And my doggies are just in great shape when we get home. 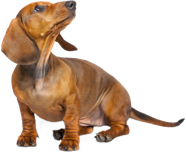 You care about the doggies and your clients. My puppy was so well taken care of! “We like overnight stays when we are on vacation rather than just short visits. Overnight stays give us real peace of mind that our pets are really, really being cared for and loved just because of the dedicated attention. We really enjoy the “Freebies” that come with overnight stays – housesitting, some plant watering, some dog walking, etc. We also liked regular photos sent by email during our absence. 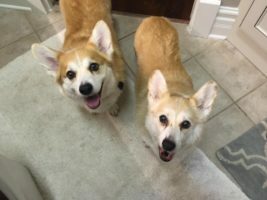 “We’ve worked with other pet sitters before moving to San Antonio, so we knew the level of professionalism we were looking for in a pet sitter. FairyTails offered the certifications, reliability, ease of service and daily updates that we were looking for. “At first, we were a little apprehensive about having a complete stranger come into our home and dog/house sit. 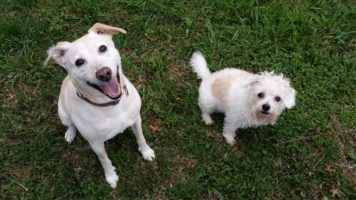 Before hiring FairyTails, we weren’t sure of the quality of services and how well our dogs would mesh with a new person. We also had concerns about the levels of training, education and experience with dog sitting/handling. 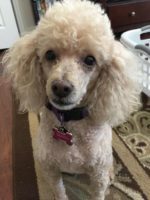 First off, we felt very comfortable and impressed with Zindy’s credentials (Certified Professional Pet Sitter & Pet First-Aid), plus her knowledge and competency with dogs gave us a peace of mind in hiring her. We have used Zindy not only to pet sit, but also to walk our dogs. 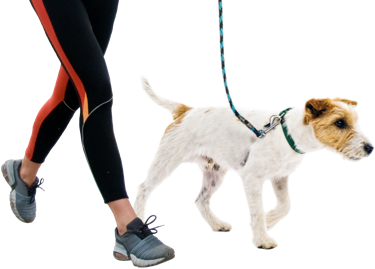 We really appreciate the dog walking services that FairyTails provides. 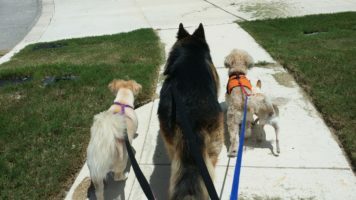 My wife has a health condition and my work schedule usually does not allow me to be able to walk our dogs as often as they need it. 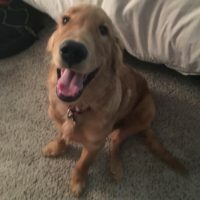 So, we’ve used Zindy on a routine basis to walk our dogs, and have noticed a change in their behavior and mannerisms since she’s been walking them. They are much calmer. We also like the fact that Zindy is very accommodating when she pet sits overnight for us, she’ll do a mid-day check on our house/dogs. 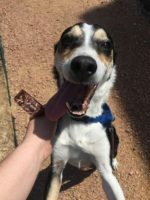 “Hiring someone to take care of your best friend when you aren’t home can be stressful but from the moment that you meet Zindy you will feel at ease. The entire process of signing up is very professional and comprehensive. 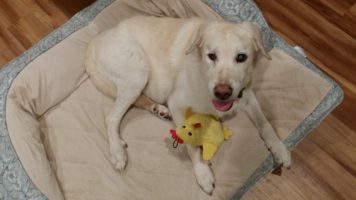 Zindy gets to know everything that you’d want her to know about your dog and she really loves her work. My dog loved his time with Zindy and was so much happier when I came home from work after spending time with her. And if you are concerned about your pet’s special needs, my dog had multiple medical problems and Zindy game him medication, fed him by hand when he was ill, and went above and beyond simply because she cares. 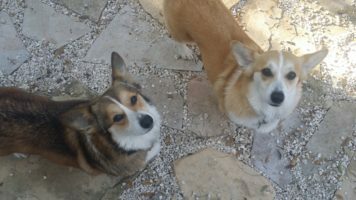 I have since moved away from San Antonio but if I were to return FairyTails would be my first call. 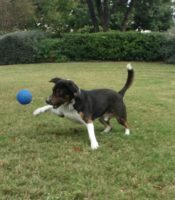 “Zindy is nothing but professional, and my dog buddy loves her. The introductory visit is free, unlike some of the other dog walkers in the area. Zindy’s paperwork, and questions are very thorough to the point that she asked me about the minutiae of puppy girl’s daily activities. I hired her to do the morning walks when I was unable to do so after a medical procedure. I was home to see just how excited my dog friend was to welcome Zindy; and how sweet, attentive, and genuinely happy Zindy was to work with a slightly naughty little dog.